Home / HP / Laserjet / HP Laserjet Pro M401DN / CF280AR – Remanufactured STANDARD YIELD BLACK Toner Cartridge – delivered FAST & FREE! Quoted page yield approx 2,700 x A4, based on 5% toner coverage. 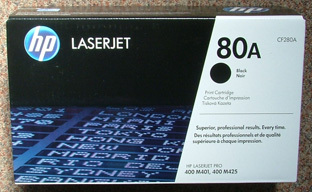 CF280X – Genuine HP80X HIGH YIELD BLACK Toner Cartridge – delivered FAST & FREE! 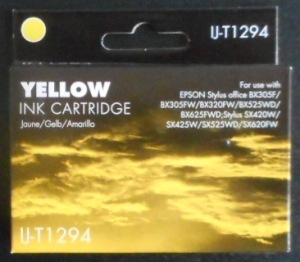 6.T1294compat – Guaranteed HIGH YIELD Apple Compatible chipped YELLOW ink cartridge – delivered FAST & FREE! You're viewing: CF280AR – Remanufactured STANDARD YIELD BLACK Toner Cartridge – delivered FAST & FREE!